We do everything possible to keep our bodies in great shape. And the more we learn about the mouth-body connection, the more important it becomes to tend to your teeth. Most patients should visit the dentist for an exam every six months, and yet tooth decay and periodontal disease still run rampant among American children and adults. By learning more about all that you gain from a dental exam, you’ll be more motivated to schedule exams, and engage with your dental care. Whether you’ve struggled with dental anxiety, find it tough to make room in your schedule, or haven’t felt like dental exams really benefit your health, we’re here to help you receive the care you need. 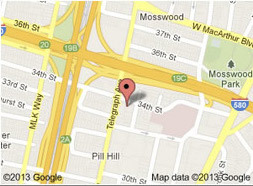 If you ever have questions for our Oakland general dentists, just get in touch. Longer-lasting smiles – Our teeth are protected by enamel, the hardest substance in the body. When oral acids erode that outer layer, restorative work needs to be completed to preserve and heal the tooth. While modern dentistry continues to advance, restorations will never be as strong or successful as natural teeth. Avoiding periodontal disease lowers your risk of tooth loss, and helps you enjoy a smile that truly lasts. Reduced risk of gum disease – Gum disease is the #1 cause of tooth loss. It wreaks havoc on the appearance, health, and function of your smile. Yet gingivitis (the early stage) is tough to spot at home, and often requires an expert eye for diagnosis. By visiting the dentist every six months, you give us a chance to identify disease before it progresses, and take the appropriate actions. Lower chance of certain systemic diseases – Emerging studies are showing a trend in connections between gum disease and other whole body diseases/conditions. By keeping your gums healthy, you may avoid heart disease, certain cancers, diabetes, and more. Reduced likelihood of obesity – When you’re eating better to avoid cavities, your diet is lower in sugar. This helps reduce your weight and lower the risk of obesity, which is linked to many systemic health concerns.